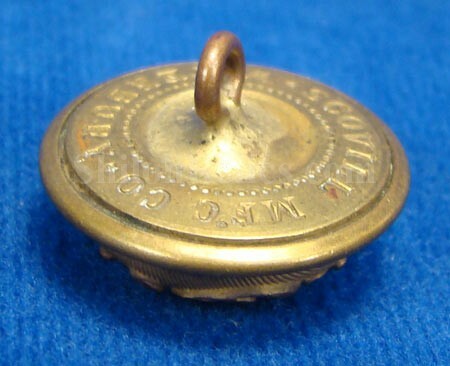 This is a superb original non-excavated coat size post Civil War uniform button for the Connecticut state militia. 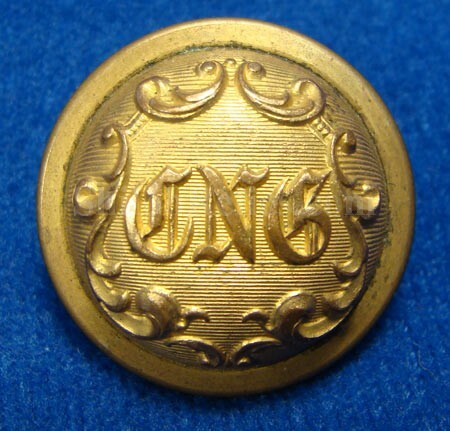 It has the "CNG” lettering on the face of the button that stands for Connecticut National Guard. This is a superb non-excavated button with a beautiful look to it. The original back and shank are present with the maker’s mark from Scovill Manufacturing Company of Waterbury, Connecticut. 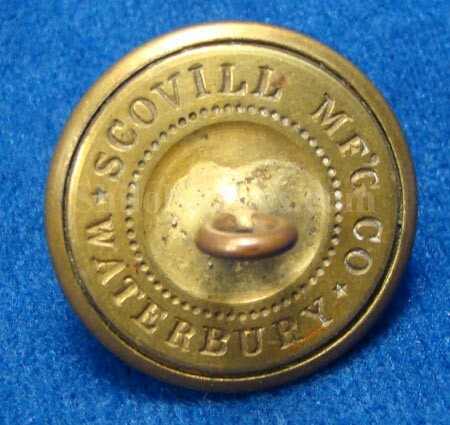 Scovill was the largest producer of uniform buttons for the Civil War effort but this one was made after the Civil War because of the style of the maker's mark. This is the pattern listed as figure CT20 in Albert’s button book and CT210 in Tice’s button book. Tice states that in 1865 the state of Connecticut joined the local militias into a more organized state National Guard. It is a very attractive authentic Connecticut button.